It's critical for technicians to know how to diagnose and service a turbocharger properly. This 30-minute educational webinar will cover what a technician needs to know when there is a turbocharger under the hood. 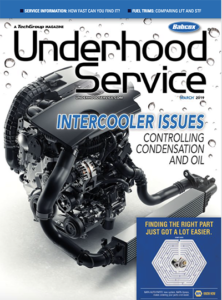 We will cover diagnostic and service methods for turbochargers, actuators and intercoolers. The fuel pump plays a vital role in your customers' electronic fuel injection systems. But fuel pump failures are often misdiagnosed, because there are many factors that can prevent the engine from getting a proper fuel mixture. An incorrect diagnosis can cause comebacks -- leading to lost profits and upset customers. Attend this free webinar to learn the proper way to diagnose and repair fuel pumps. During this free webinar, Ron Ipach and Gerry Frank take their 55 years of combined knowledge and experience and break shop ownership down to the 3 simple (but vitally important!) keys you'll need to focus on to make 2019 your best year ever. The best way to get more customers (based off of closing rate) is when someone first comes through your website. Yet, many businesses are still having trouble converting website visitors into actual paying customers. Join us for a free webinar where we will discuss how correctly messaging customers on the right channels can bridge the information gap and help your shop convert website visitors into paying customers. Power steering technology is continually evolving. While hydraulic systems continue to have a large presence in today’s repair market, electronic steering is quickly catching up and will tip the scales in the not-so-distant future. In this webinar, our goal is to help technicians prepare for the future by explaining the best practices for servicing EPS systems. Wheel bearings are an essential component of the chassis system. As a technician, you need to know about how a wheel bearing works and the different designs of wheel bearings. You should also know about seals -- including how to choose the right seal, and understanding why seals fail. In this free 30-minute training webinar, ASE-certified technician Roger Gillette will educate you and your team on bearing clearance and bearing play is, the benefits of an orbitally formed shoulder, choosing the right seal for an application, and much more. As hybrid vehicles have grown in popularity, and vehicles from the early 2000s are now of an age where repairs are necessary, there is a profitable opportunity for independent repair shops to service these vehicles – in particular, the battery. This 30-minute training will demonstrate how easy it is to service hybrid batteries, as long as the right procedures and tools are used. This 30-minute webinar will be led by ASE-certified technician Roger Gillette. He will be explaining how Overrunning Alternator Pulley (OAP) and Thermal Management Module (TMM) operate and how to diagnose them when they fail. You’ll learn about the dramatic growth in vehicles using these components, and why it’s so important to become familiar with these systems. Shops that are winning are providing consumers with a number of different options to connect and drive them to the physical location, including text, web chat, email, phone, and others. Over the course of this webinar, we will discuss the typical customer journey and show you how an omni-channel strategy can improve the experience and drive more business. The thermostat on an engine controls more than just the temperature of the coolant. A thermostat can control emissions, cool the air intake temperatures and even reduce engine bearing wear. In this webinar, we will cover how a thermostat operates, symptoms of a malfunctioning thermostat, why thermostats fail, and more. Finding good, qualified employees is not as simple as it sounds. A technician with an impressive resume doesn’t always have an impressive attitude. For today’s repair shop, it’s more important than ever to build a team with the skills and service-oriented character that your customers expect and deserve. In this recruitment strategy power session, you will learn the secrets used by today’s most successful shops to build a winning team. The way that consumers communicate is different in today's world. Phone and email are no longer a sufficient way to maintain contact and interact with your customers. Many of your customers are much more comfortable communicating via text or other messaging apps. In this free webinar, learn how using messaging to augment your communications will significantly boost your customer service while increasing revenue. Wheel bearings carry the weight of a vehicle on a surface no larger than a credit card. That's why proper inspection and installation methods are critical for servicing modern wheel bearings. In this free 30-minute training webinar, ASE-certified technician Mike Geul will discuss the basics and advanced techniques for diagnostics and service. The Overrunning Alternator Decoupler (OAD) pulley has added a new wrinkle to accessory drive belt and alternator service. An OAD can be a potential comeback for your shop, or a new service opportunity. Attend this 30-minute training webinar to learn about OAD diagnostics, inspection, and replacement. Technicians and parts professionals should attend this free 30-minute training webinar to hear Mike Geul, an ASE-certified technician, share how to diagnose and service dual mass flywheels. Learn where and why DMFs are used, how a DMF works, why you shouldn't replace a DMF with a solid flywheel, and how to diagnose DMF failure. 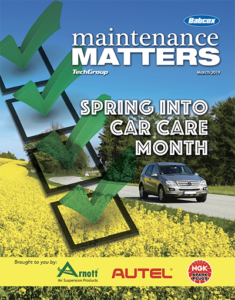 Telematics systems are changing your connection with your customer -- impacting where, why, and how their vehicles are serviced. Are you prepared? This free 30-minute webinar will discuss the evolving service/maintenance mix, the diagnostic needs of todayís vehicles, and how you can attract (and retain) customers who drive telematics-equipped vehicles. During this 30-minute educational webinar, ASE-certified technician Andrew Markel will discuss the most important engine decarbonization and direct injection problems you might face as a technician. Youíll learn about the different cures for carbon deposits, including in-tank treatments and induction cleaning kits. While some recalls and TSBs made the front pages in 2016, other valuable TSBs were added to repair information databases without notice. During this webinar, ASE-certified technician Andrew Markel will explore the TSB issues that can help you spot common pattern failures on vehicles ñ- and help you get into the heads of automakers and engineers who issue TSBs.